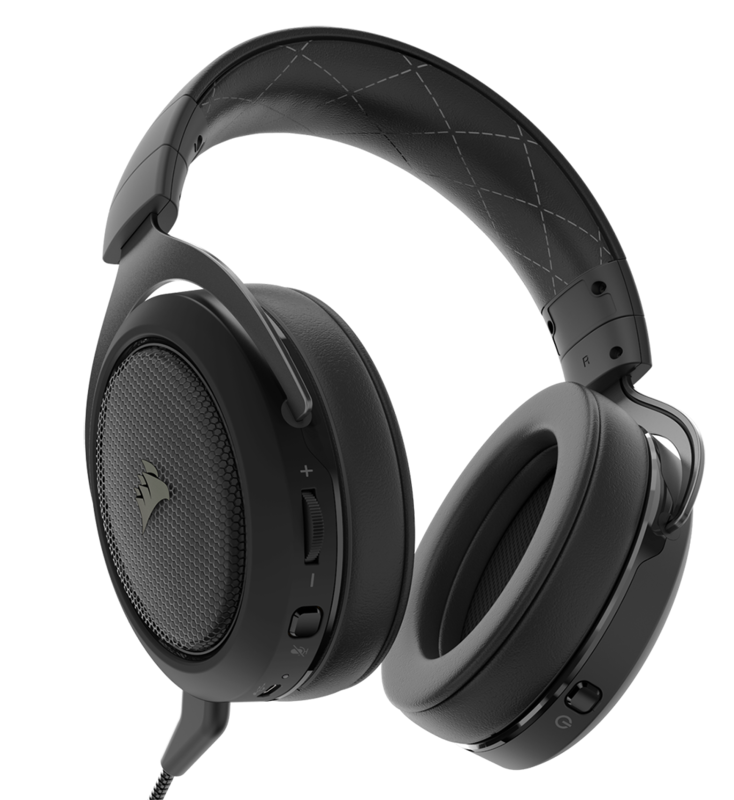 Corsair has steadily revamped its headset range in the last year. There are now in excess of 10 models spanning straight-up stereo, 7.1, wireless and RGB. 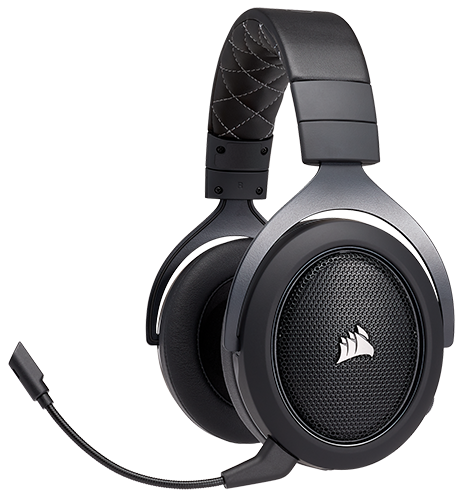 As a rule of thumb, the Void series is aimed at gamers whilst the HS line is primed for stereo. That distinction is being blurred today with the release of the HS70 wireless. Priced at $109 (£99), it's a bit cheaper than the various wireless Void models, so let's have a closer look. Available in black (or carbon, as Corsair calls it) and white, HS70 follows the minimalist styling laid down by the rest of the line. We're actually bigger fans of this look than the Void. The buttons are as simple as the design, with the right-hand cup home to the power button and left to the detachable microphone boom, USB charging port, mic mute button, and volume rocker. The Discord-certified microphone stalk is one of the better ones around; it's super-flexible and can be articulated into an exact position with ease. A feeling of quality is further enhanced by having proper metal grilles in front of 50mm drivers, and each memory foam-backed cup swivels by around 30° for a precise fit. The cups are big enough to completely enclose my ears without pinching. 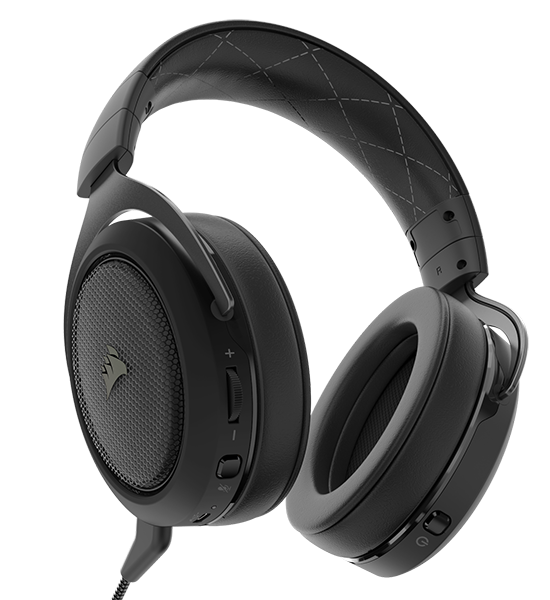 Up top, Corsair keeps the same metal headband that features on most of its series. That means it's generally comfortable but not quite as plush as some of the competition. Wearing glasses with the HS70 is okay, too, as there's enough give on each earcup not to squeeze the specs too much. 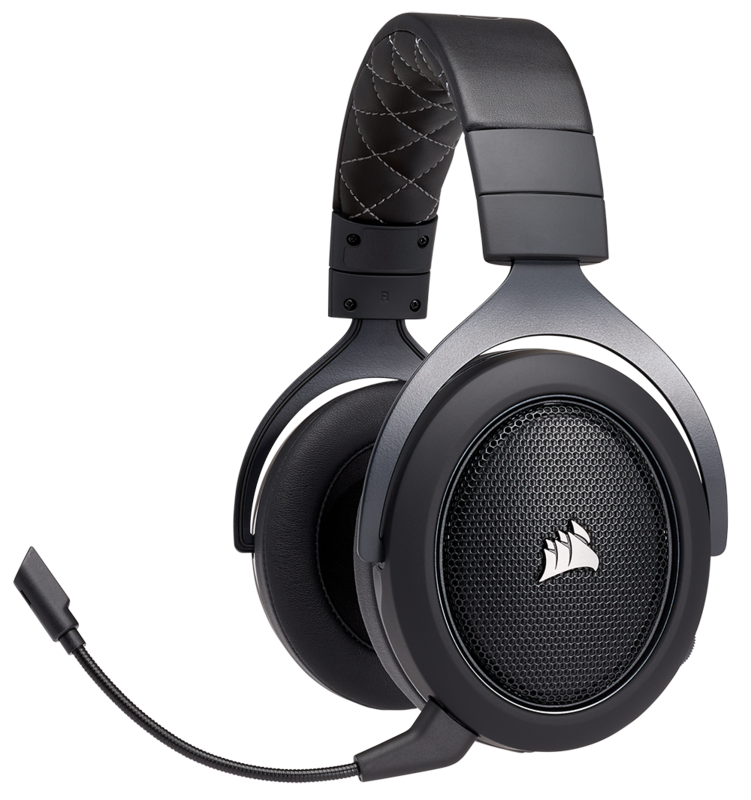 That said, being critical, I'd prefer if Corsair used a slightly softer earcup material - they feel a little stiff and, on the first few wears, compress your head more than, say, the Kingston CloudX. The overall fit feels a tad better than previous models; moving my head quickly from side to side has previously resulted in the Void feeling a bit loose. The HS70's grip is tighter, but not uncomfortably so, and there's the usual 50mm micro-adjustments for bigger noggins. A 288g weight is about normal, as well, and wearing the HS70 on and off for the better part of a week reinforced the reasonable comfort factor. Part of that is down to this headset being 100g lighter than the largely equivalent Void. Really, this headset is the HS50 made wireless. Unlike the Void, there are no flashy lights or multiple LEDs to cater for. The sole LED, by the USB port, indicates charging when displaying a solid colour and, depending upon colour, the battery-life status. Hooking up to a PC is done by plugging in the bundled USB stick. Corsair reckons the 2.4GHz wireless transmission is good for a line-of-sight 40 feet, and I was able to listen to music when 20 foot way on a lower floor. The HS70 also works with a PlayStation 4 via the same USB dongle, meaning there's no need to worry about extra wires. 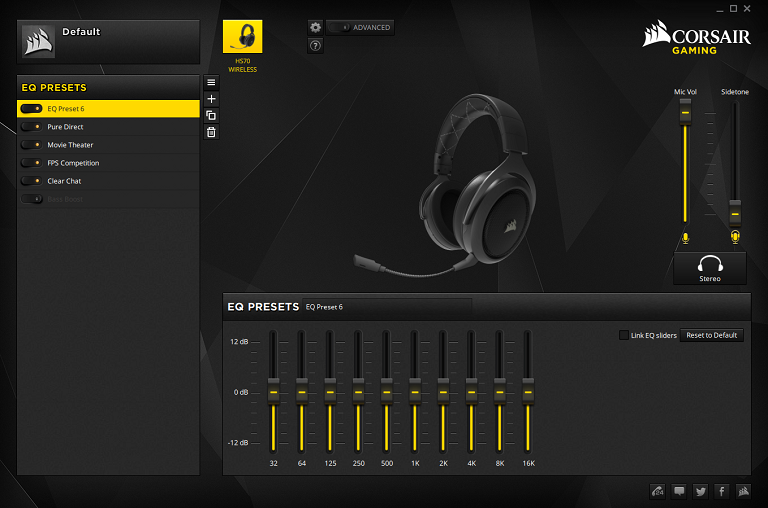 The simple nature of the headset and lack of lighting bling makes it more of a plug-and-play solution than Void. It's still compatible with Corsair's Cue 2 software, however (229MB download). The primary reason for doing so rests with tuning the sound to your liking. You can choose one of several presets, create your own, change between standard stereo and virtual 7.1-surround, or adjust the sidetone (feedback) level. Using it on and off over a week gives around 15 hours usage from a full charge, generally matching what competitive wireless headsets offer.